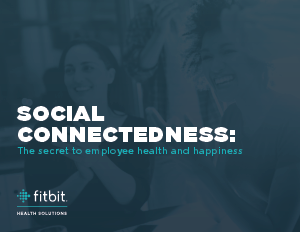 Social connectedness is essential to employee health. We are known to be naturally social animals who need to have relationships with others, both in our personal lives and in the workplace. But where did this desire for social connectedness come from, and what does it really mean for employees’ health and wellness? You’ll also receive key takeaways on driving social engagement in your wellness program.